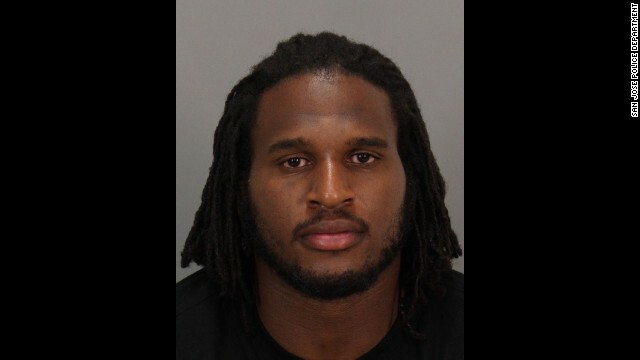 Ray McDonald, defensive end for the Chicago Bears, was arrested by police yesterday morning in Santa Clara, California and charged with misdemeanor domestic violence and child endangerment according to a breaking report from Damian Trujillo of NBC Bay Area. A statement from the Santa Clara police department said the arrest came after he allegedly “physically assaulted the victim while she was holding a baby.” By Monday afternoon, approximately six hours after McDonald’s arrest, the Bears announced they had released the 30-year-old McDonald. McDonald had been arrested once before in August 2014 for domestic violence against his ex-fiancée who was pregnant at the time. However, no charges were filed due to lack of evidence. And in December he was released by the San Francisco 49ers not long after he was named as a suspect in a sexual assault investigation. An NFL investigation found that McDonald hadn’t violated the league’s personal conduct policy and therefore wasn’t subject to the mandatory six-game suspension for domestic violence infractions. His one-year contract with the Bears was worth $1.5 million in non-guaranteed base salary and bonuses.